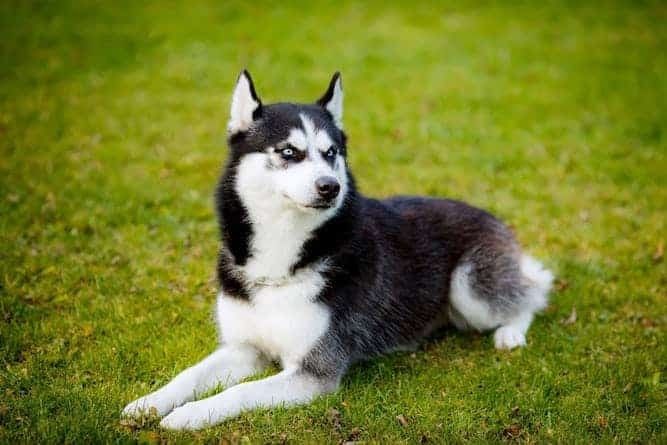 The Siberian husky is one of the most aesthetically stunning breeds in the canine world; however, the Siberian Husky temperament is usually too challenging for novice owners. The Siberian husky is a rewarding but difficult breed. If you are new to dog ownership, the Siberian husky is probably not the best choice for your first dog. Many people yearn to own this breed because of their striking good looks, but always remember that a dog’s temperament is the most important factor in choosing the breed that is right for your lifestyle. Siberian huskies are working dogs. They were bred to haul sleds for miles across grueling terrain. Your Siberian husky is not going to be happy confined in your house or yard all day. Siberian huskies need an outlet for their energy. If you adopt a husky, you must commit to at least an hour of aerobic exercise per day. Aerobic exercise includes jogging, biking, hiking, romping with other dogs, or playing fetch or Frisbee. A walk in the neighborhood is not enough exercise for this high-energy breed. If you cannot commit to this amount of daily exercise, consider adopting an adult or senior husky. Older huskies need exercise too, but not as much as puppies or young dogs. Another option for busy owners is to invest in a dog walker or bring your husky to a doggie daycare during the day. Playing with other dogs is a great way for your husky to burn some steam. One way or another, your husky will need a daily outlet for his energy. Huskies that do not receive enough exercise become bored and destructive. They are known to howl, dig, escape the yard, and chew furniture. Siberian huskies love the company of people and other dogs. They were bred to live in and work in packs. As long as they are properly socialized and introduced, huskies usually enjoy the companionship of other canines. If possible, enroll your husky in a puppy socialization class from an early age to encourage good social skills. If you own multiple dogs, feed them separately to avoid quarrels over food. Siberian huskies like to be with their human family as much as possible. They are not content to be in the backyard while the rest of the family is indoors. They want to be part of the pack. Some huskies can develop anxiety about being left alone. If your husky seems to be developing separation anxiety, try to associate your departure with a wonderful treat like a busy bone or a Kong stuffed with peanut butter. If the anxiety becomes severe, seek professional help from your veterinarian or a positive reinforcement trainer. Huskies are known to have a high prey drive towards small animals. There are certainly some examples of huskies living harmoniously with cats and other critters. However, most huskies are not trustworthy around felines, ferrets, rabbits, hamsters, and other pocket pets. If you plan to introduce a husky into a household with cats or other small pets, you must commit to a lot of training and management. Praise your husky and dispense treats for friendly, calm behavior around the cat. Issue a “time out” if your husky attempts to lunge after or chase the cat. Even if they seem to get along nicely, always separate cats and dogs when you must leave them unsupervised. Make sure you always walk your husky on a leash and only let him play in securely fenced areas. If your husky sees a squirrel or other prey animal, he will chase after it and he might not heed your commands. This can be an extremely dangerous situation if your dog dashes across a road. In most cases, Siberian Huskies make good family pets for households with respectful kids. As with all dogs, proper socialization and supervision around children are very important. Because huskies are so energetic, they sometimes get a reputation for being “high strung” and/or “jumpy and nippy.” Huskies that receive these labels are usually not getting sufficient exercise. Huskies that receive proper training and exercise are generally playful and affectionate with kids. 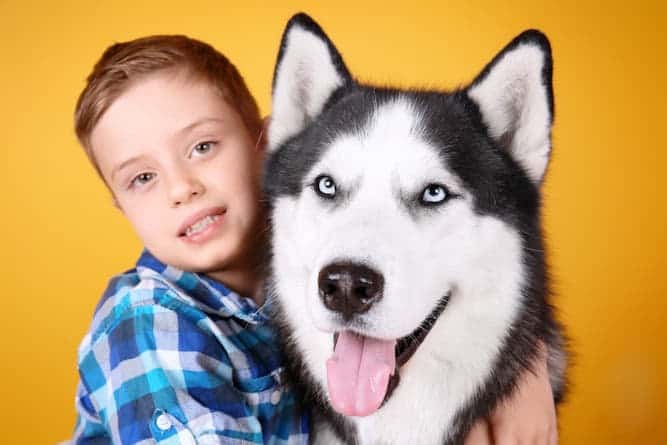 Huskies do not appreciate rough handling, so it is equally important to train your kids to be gentle and respectful with their canine companion. Huskies are very smart, but they are independent thinkers. They will not blindly follow commands. They are trainable, but it takes time and patience. It is helpful if you have some prior experience with positive reinforcement training. Huskies are incredibly clever. They are excellent problem-solvers. They will quickly deduce how to steal food from counters or open the latch to the back gate. If you are thinking of adopting a husky, you will need to do some vigorous “puppy proofing” before bringing your new dog home. 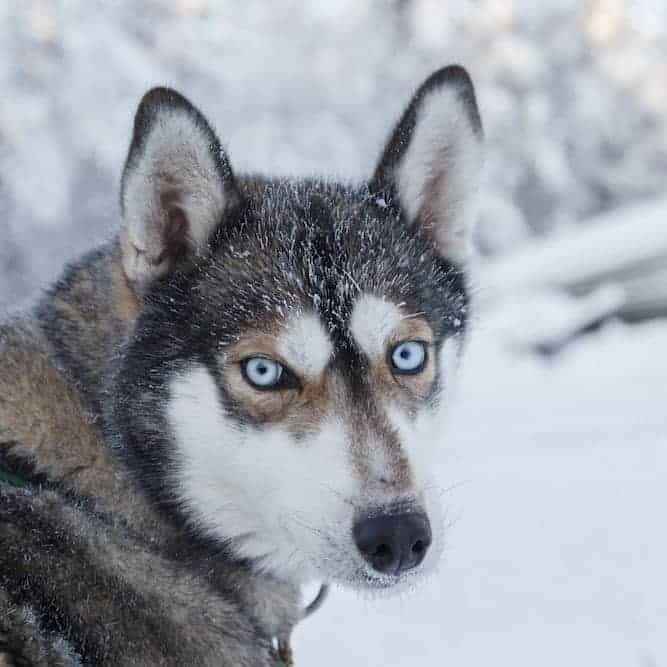 The ancestors of the modern-day Siberian husky lived in the cold climates of Northeastern Asia with the Chukchi people. 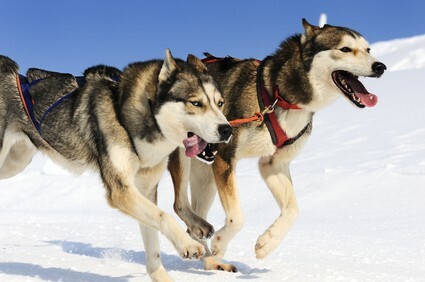 Huskies were used to pull the possessions of their nomadic owners. A Russian fur trader brought the breed to America in 1908. In 1925, teams of mushers and Siberian huskies relayed life-saving medicine over 600 miles through a blizzard to the people of Nome, Alaska. Every year to this day, the Iditarod dog sled race is held to honor the history of dog mushing and to commemorate the brave teams that carried the medicine to Nome. 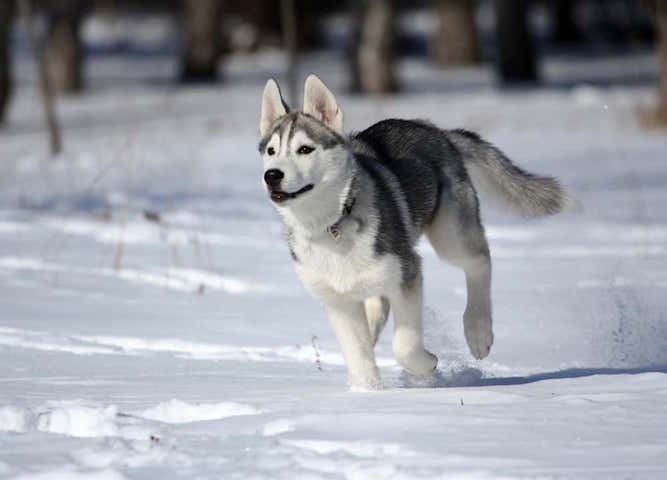 Siberian huskies resemble wolves, but they are 100% domesticated dogs. They are not wolf-hybrids. Siberian huskies usually weigh between 35 and 60 lbs. They usually stand between 20 and 24 inches tall. Siberian husky colors are usually gray and white or red and white, but all colorations from jet black to pure white are acceptable. The white Siberian husky is an especially beautiful variety. Siberians frequently have blue eyes. They can also have brown eyes. Occasionally, they have one of each. Huskies have thick coats, erect ears, and curly tails. Some unscrupulous breeders are trying to market a “miniature Siberian husky.” Mini Siberian Huskies are not recognized by the American Kennel Club or endorsed by the Siberian Husky Club of America. Breeders that breed miniature versions of popular breeds usually sacrifice health and temperament in their pursuit of a trendy physical characteristic. Please do not purchase one. Siberian Huskies shed. If you cannot tolerate dog fur, this is probably not the breed for you. Huskies have a thick double coat. Siberian husky shedding happens throughout the year, but twice a year during “shedding season” they blow their undercoat. During this time, the undercoat comes out in fistfuls and requires daily brushing. De-shedding tools such as the Furmintor dog brush are helpful during these periods. You can also bring your husky to a professional groomer during shedding season and the groomer will rake out the undercoat. This will minimize the amount of husky fur that will come off in your house, but some fur in your house is inevitable. Like all dogs, your Siberian husky should visit a veterinarian once per year for an annual checkup. It is also crucial for your Siberian husky to be on flea and heartworm prevention at all times. Spaying and neutering are highly recommended for health reasons, behavioral reasons, and to prevent overpopulation. With good care, the Siberian husky lifespan is 12-14 years. Note: if you agree that your health and your dog's health should be a top priority then get a copy of The Ultimate Guide to Dog Health. Your Siberian Husky friend will love you for it. This guide will help save you money, time and most of all help you keep your dog healthy. The Alaskan malamute looks quite similar to the Siberian husky dog. It is another Northern breed with a curly tail, erect ears, and a thick coat. However, the Alaskan malamute is its own distinct breed. The Alaskan Malamute is substantially larger than the Siberian husky. The Malamute can weigh as much as 85 lbs, whereas the Siberian husky never weigh more than 60 lbs. Training your Siberian husky will require patience and practice. Huskies are extremely bright, but they are not always eager to follow commands. It is helpful if you have some prior knowledge of positive reinforcement techniques. Never use physical reprimands with your Siberian husky. This will cause him to lose his trust in you. Instead, use rewards for good behavior. If you have never trained a dog before (or even if you have!) it is a great idea to sign up for a positive reinforcement obedience class. If you would like to take your Husky’s training to the next level, look into canine sports such as weight pull, agility, or rally obedience. There are rescue groups around the country dedicated to helping and rehoming Siberian huskies. If you would like to add a husky to your family, do an internet search to find a Siberian husky rescue near you. Huskies enter rescue groups for all kinds of reasons. Sometimes their owners are forced to move to a place that will not allow the breed. Huskies are frequently on the list of prohibited breeds for apartment complexes. Make sure you know the regulations of your apartment building if you are a renter. Sometimes a husky’s previous owner may have suffered an illness, divorce or financial crisis. Sometimes people acquire these dogs because they are attractive, but they quickly realize that they cannot meet their needs. Regardless of the reason, huskies in rescue groups are usually friendly dogs that need a second chance. 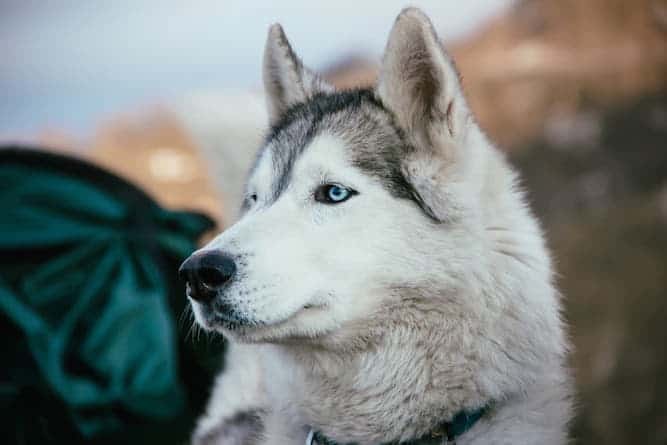 Most of the Huskies in rescue groups are teenagers, adults or seniors. Puppies are rare. However, adopting an adult husky is the perfect choice for many people! Adult huskies do not require as much training, exercise or supervision as a rambunctious puppy. You can also visit your local animal shelter and leave an application on file for a Siberian husky or Siberian husky mix. Be sure to search websites like Petfinder.com and Adoptapet.com for adoptable Siberian Huskies in your vicinity. When you acquire your husky through an adoption center or rescue group, the Siberian husky cost will usually be between $75 and $200. This price usually includes spaying/neutering, vaccines, and sometimes a microchip. If you choose to purchase a Siberian husky puppy from a breeder, the Siberian Husky Club of America is a good place to start your search. 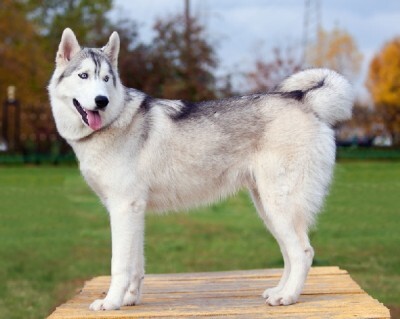 The Siberian Husky Club of America created guidelines for ethical breeding. They also maintain a list of regional clubs and breeders on their website. However, just because a breeder is listed on this site does not mean that it is endorsed by the club. You will still need to do your own research to make sure that your Siberian husky breeder is ethical. Once you identify a potential Siberian husky for sale, set up an appointment to visit the breeder in person. The dogs should be living in the house with the family and the home should be clean. Request to see veterinary records for the Siberian husky puppies as well as the parents. Your breeder should welcome your visit. S/he will want to meet you and ask you questions as well. If a breeder does not want you to come to the property, this is a red flag! Never purchase a puppy from a pet store or from an internet website without personally visiting the premises. The Siberian husky puppy price varies depending on the breeder. It can be as low as $500 to $600, or it can go as high as $2,000. In general, the average Siberian husky puppy price is around $750 to $1,000. Conclusion: Why the Siberian Husky? The Siberian husky is a very appealing dog to many people. Siberians are beautiful and bright. They have intelligent expressions. It is hard not to fall in love when you meet one. Before welcoming one into your home, do your research and make sure the Siberian husky temperament is right for you. Know your Siberian husky facts. Evaluate your lifestyle to decide if a husky will fit into your daily routine. You might even be able to sign up to foster a husky through your local animal shelter or Siberian husky rescue group. Visit dog shows to talk with breeders and owners about the extra responsibilities of husky ownership. This varsity-level breed is not right for everyone. However, if you can handle the energy, the intelligence, and a lot of dog hair, a Siberian husky might be the dog for you! Previous post: Benadryl For Dogs: Good or Bad?